Ukraine's recently held presidential election has been deemed a success, but the country faces a number of continuing challenges including an ongoing separatist rebellion in the east. Karen E. Donfried of the German Marshall Fund and CFR Fellows Robert Kahn and Stephen Sestanovich join CFR President Richard N. Haass to discuss the crisis in Ukraine and its implications for U.S. foreign policy. The panelists outline potential steps that the United States can take to help stabilize the country and promote political and economic reform. They also consider the impact of the crisis on U.S.-Russia relations going forward. HAASS: Welcome on this summer's day to the Council on Foreign Relations. Tonight is either the fourth or fifth—I've lost count—of this new series we've started, which is the "What to Do About," and tonight it is Russia and Ukraine. And the structure or approach of this series, for those of you who have not seen any of the predecessors, is to take an issue in American foreign policy where in the real world there's lots of debate about what we should do about something and to have a version of it right here. And what we do is we take people who are scholar-practitioners and we essentially construct the equivalent of a high-level meeting in the U.S. government. No one acts in a role, so Karen is not representing the NSC or Rob is not representing Treasury and Steve for sure is not representing the State Department. And instead, they are all essentially ministers without portfolio. They are wise women and wise men offering their analysis and recommendations on issues of policy. HAASS: ... president of the German Marshall Fund of the United States. Congratulations on your new position. Rob Kahn is the not-so-new Steven Tannenbaum Senior Fellow here at the Council on Foreign Relations for international economics. And if you're not a regular reader of his blog, you should be. And what's the catchy title again? HAASS: Macro and Markets. Rob is clearly not in charge of branding here at the Council on Foreign Relations, but we're glad to have him all the same. Last but far from least, Steve Sestanovich, who has held all sorts of senior positions in the U.S. government, holds academic positions at places like Columbia University, and is also the George F. Kennan Senior Fellow here at the Council for Russia and Eurasian Studies. So that is the line-up; we are in safe hands here. So let's start as we would at a meeting of this sort with the setting, essentially what's going on, what's the latest? This situation/crisis has now been unfolding, what, for three, four months. And we're in the near-term aftermath of an election. You were there. SESTANOVICH: I was an observer. HAASS: So why don't we start with you, Steve? Because you I think have been the most recent to set feet on the ground. So what is the—let's get a sense of the landscape. We'll look at—begin with Ukraine and then we'll work our ways out to Europe and Russia. So let's start with that. SESTANOVICH: Well, the political landscape in Ukraine is that you now have a legitimate leadership that no one can contest. Mr. Poroshenko, the famous chocolate king, got himself 55 percent of the vote in a turnout that was strong across the country. HAASS: Has anyone questioned in any way the legitimacy or fairness of the election? SESTANOVICH: It was really an impressive election. You had people saying that—local monitors saying this is the first European standards election that we've had since 1991. And I was very impressed by the group of people that I saw just in the precinct where I was observing, but I heard the same thing from people who had been all over the country and local monitors—thousands of them—who were deployed in all parts of the country, not in Donetsk and Luhansk. And that's the second part of the landscape. Poroshenko was inaugurated over the weekend. He gave a speech that combined the outstretched hand and the outstretched fist. He said there's going to be no end to the counterterrorism operation—a term I don't really like, because that was what Putin called the offensive in Chechnya. The—but he said—and he said there would be no negotiating with those people. So he's not—in offering dialogue, he's not reaching out to them. But he is saying he wants dialogue and he's offering an agenda of conciliatory measures, Russian language, local autonomy related to budgets and taxation, and the like. Whether he can deliver that at a time where his army is yielding border posts kind of by the day is hard to say. So he has a military question mark about his policy. He's got a strong political mandate. HAASS: Let me just ask one more question on the security situation before I turn to Rob on the economics, which is you said his military, which has had trouble from the get-go, is yielding posts and territory in a fairly regular basis. What's our reading of the nature of those they're yielding it to now? To what extent is Ukraine, if you will, those doing the taking here, have they in a sense become Ukrainized, essentially local dynamics? Or to what extent do we think that the dynamic is coming from outside, and more particularly from Moscow? How do we read the security dynamic? SESTANOVICH: Well, I think there's—the U.S. government—if I can put it this way—the U.S. government, since we're play acting here, the U.S. government has no doubt that there is a significant infusion of Russian assistance over a pretty porous—across a pretty porous border. It's not in large numbers. It's mostly special forces advisers. But it is—it's not an autonomous outpouring. There are—these groups have been strengthened by getting Ukrainian arms from units that have abandoned their posts. HAASS: Well, let me ask the question in a slightly different way, which is, do we think essentially they are now calling their own political shots and decisions? Or to the—do we think they're listening and waiting for guidance? What's our reading of how independent they are? SESTANOVICH: They definitely are listening to Moscow, and there have been some indications of Russians coming in and trying to displace the local hotheads so as to have a more better organized and coordinated operation, but also one that can cut a deal. HAASS: Rob, let's talk about the economics for a second, and then I'll turn it to Karen, which is, you've had, what, probably a month or two before the election, you had the massive commitment from the E.U. and the IMF. The United States commitment was, shall we say, on a more modest scale. So what is the state of the economy? What's the stake of international support? And how did the two, if you will, interact? KAHN: Well, it's pretty dire. Certainly this was a crisis—an economic crisis that was many years in the making poor economic policies, overvalued exchange rate, unsustainable fiscal policies, and the like. But as you said, the pretty—a pretty sizable IMF-led rescue package was put together, with—subject to a set of conditions, and by and large, the government's kept its word and taken the actions it needed to take to get that money going and to keep that money going. The problem is that the economy is suffering quite dramatically, because now you've layered over on top of it a political crisis and an economic crisis. Growth will probably fall something on the order of 5 percent to 10 percent this year. Fiscal revenue, not just because growth is lower, but because in some parts of the country the fiscal—the government's not really functioning—will be a lot worse. And so I suspect that even—that economic performance will fall significantly short of even what the IMF assumed only a few months ago. HAASS: And remind of the numbers. There was $17 billion, $18 billion of aid that was promised? KAHN: Of IMF money was $17 billion. The total could have been as much as $27 billion. HAASS: And what is your sense—I mean, if this were Silicon Valley, we'd talk about a burn rate. What is your sense of how long this is going to last, based upon what they're consuming as opposed to producing economically, and at what point we, the United States or other—the world is going to be confronted, if you will, with the possibility of an additional tranche? SESTANOVICH: I think pretty soon. When we talk about burn rate, we should distinguish between what you might call an external burn rate and a government burn rate, because the significant depreciation of the exchange rate—while it's been very difficult—helped the current trade accounts quite a bit and reserves have been stabilized. But in terms of the fiscal burn rate, that money is not enough, and I'm expecting that probably as soon as the summer we're going to have to take a new look and rewrite that program and find some additional financing to keep this thing going. HAASS: So, Karen, a big chunk of our policy has obviously been the political and economic bolstering and security bolstering of Ukraine and the results, I would say, seem to be slightly better on the political side than on the economic or security. And the other part of the policy was obviously—the flipside was more to try to influence Russian behavior, largely through pressures and sanctions. And we just had the meetings in Europe, and I would simply say that there is something less than consensus between the United States and the European governments. The French government is going ahead with its arms sales. The other governments don't seem particularly inclined to make Russia pay any higher price for what it's done. It's not clear what would—or even for what it's doing. So what is your reading of the transatlantic, if you will, consensus or lack thereof here? DONFRIED: Sure, and just a comment. HAASS: Yeah, comment on anything, yeah. DONFRIED: There's clearly a connection between the politics and the economics, because the fact that you have this unrest being fomented in the east in Donetsk and Luhansk, which are very important in terms of heavy manufacturing, so the longer that unrest continues, the more of a hit the Ukrainian economy takes, so these things are definitely connected. In terms of the transatlantic piece, certainly it's been a priority of the Obama administration to keep unity with its allies, and that was on display last week when the president began his trip in Poland, went to Brussels for the G-7, which is the first time in almost two decades that there hasn't been a G-8 meeting with Russia being excluded, and then all of them being on the same stage in Normandy. What you saw at the G-7, the statements that came out, it wasn't just the U.S. that was accusing Russia of engaging in supporting the separatists in the east. It was the entire G-7. And what President Obama and Prime Minister Cameron and others said is, Putin needs to do three things. He needs to respect Poroshenko as the legitimate president of Ukraine. He needs to stop support for the separatists. And he needs to stop materiel and militias going across the border. And if not, there will be further consequences. HAASS: But even before we get to the consequences, do any of you see any evidence that Mr. Putin is going to embrace any or all of those three conditions, he's going to meet them? DONFRIED: It's been fascinating to watch President Putin at work. And Steve can speak to this probably better than any of us, but clearly, on the one hand, he's very visibly suggesting that he's stepping back. And he sent his ambassador back to Kiev and attended the inauguration. Today we saw President Poroshenko begin a dialogue with that Russian ambassador. SESTANOVICH: There's a little more to it than that, although I think that's significant. The Russians have been claiming this is a government of, you know, fascist thugs for months, and now they can't do that. So they're—they've made their peace with Poroshenko. They've called for mediation by the OSCE, kind of unusual in itself. The Russians despise the OSCE. On the other hand, they don't have the greatest regard for its effectiveness, either, and that can be a kind of stalling operation, too. HAASS: The devil's been busy in that sense. SESTANOVICH: You just don't know which—they don't where it's coming from, but it does put a little bit of distance between themselves and separatists. And the way in which Putin has interacted with Poroshenko suggests there's a message to the separatists there, "I can do a deal with this guy." HAASS: But all along, the phrase that's stuck to me is the Russians were essentially intervening in Ukraine without invading. And nothing you said seems inconsistent with that. They may get a little bit more clever about how they mask their intervention. They may be gaming or gauging what it is they can get away with without triggering some unclear trigger across—with the Europeans in particular, but one gets the sense they are going to continue, if you will, to keep their hands in as much as they can without necessarily incurring more of a penalty. SESTANOVICH: I think it's clear that they have been impressed enough by Western unity to give up on the idea of just completely breaking up Ukraine openly, having—you know, absorbing these eastern territories the way they did Crimea. That just—that doesn't seem to be on. In that respect, Tom Friedman is right; they've blinked at that thought. But you're absolutely right. There isn't any indication that they intend to give up on the idea—and to make Ukraine whole again. They're not impressed by what the West threatens that they are going to say, "You guys have got to go back and make your peace with Kiev, and, you know, we wash our hands of you." HAASS: One or two last questions on this, and then we'll turn to some of the next part of this, which is—and is it your sense what's influencing the Russians, is it the reality or threat of sanctions? Or is it the cost of Crimea, and that's not something they want to keep paying? It was described to me by one person as three Olympics. It's the new unit of account in Russia, is an Olympic. Is it the idea that they don't want a failed Ukraine on their borders, that it's one thing to have a Russian to widely regard over Ukraine, something else to have a Ukraine that's hemorrhaging. What's our sense now of where Russia is? DONFRIED: I think it's all of the above and more. I think it was also striking for Russia, when you had the vote in the U.N. Security Council, that China abstained. I think that Russia has found perhaps less support for its intervention in the east of Ukraine than it might have thought. I think there might have been a thought on the Russian side that when they sparked something, that this would ignite a flame and you'd see people demonstrating in the streets of eastern Ukraine in support of Russian action, and that didn't happen. And I do think it was unity in the West that perhaps we hung together more than they thought. I do think the sanctions have had some effect in terms of capital flight and those around Putin who have been targeted, not just personally, but also their businesses. So I think it's the combination of all of this. SESTANOVICH: But there's one thing that they've gained here, which I think is undeniable, and that is a kind of recognition not just in Kiev, where it's—that recognition has always been strong but in the West—that they are a kind of—they are a power broker that affects the internal course of Ukrainian politics. And they've been—and that isn't even so much disputed now. The recognition in—from these meetings, where, by the way, Putin was also—he was supposed to be disinvited, and he was skulking around, just sitting to the left of the queen of Denmark. HAASS: He had two dinners one night. DONFRIED: ... one with Obama and one with Putin. He had supper with Putin. HAASS: I apologize. I apologize. SESTANOVICH: The—you know, the West is now kind of imploring Putin to use his influence to calm things down in the east. HAASS: Well, let's pick up on that, which—OK, so we've kind of sketched out the lay of the land. What at this point are our interests? And it seems to me it ranges everything from going back to a status quo ante, where Russia—the Russian-Ukraine connection is broken, in particular the Russian Crimea hold, to where we simply say, look, we don't like the status quo, we want it to keep it from getting worse, and there's lots of things in between. So at this point, what—what is realistically—what do we—what will define as a success? What do we define as acceptable? What is it we're committed to avoiding over, say, the rest of this year? We've got roughly halfway through the year. What is it we're—what is it we're trying to do? What is it we're trying to avoid at this point? DONFRIED: I see Russia's illegal annexation of Crimea and the unrest they're trying to spark in the east of Ukraine as a fundamental challenge to our post-Cold War policy in Europe, and by our I don't just mean the U.S. It was a shared policy with our European allies, and that was to try to expand that part of Europe. I mean, the U.S. term was whole, free and at peace. And that was shared by successive U.S. administrations. That policy met with a great deal of success, if you think about NATO enlargement and E.U. enlargement. And it was premised on a belief that Russia had made a decision that cooperating with us was more in its interests than engaging in open conflict. And maybe that was already being tested in Transnistria and in Georgia, but, boy, in the case of Ukraine, there's no doubt about it. There was no precipitating factor for Russia to take over. HAASS: But given that, what is it now moving forward? So if that was our premise, we are where we are, where in six months do we either want to be or where in six months do we want to make sure we're not? How do—I mean, do you define success as getting Crimea back? Do you find success as not having any more Crimeas, keeping Russian involvement below a certain level, either through discouraging them or buttressing Ukraine? Is it something else? I'm just curious, which is given where we are now, what's our compass? I mean, I know we don't necessarily like where we are, but I can imagine things that are worse as well as better. KAHN: Well, on the Ukraine piece of it, I think stabilizing Ukrainian economy is both an objective and a tool, in the sense that presumably we want to signal that their survival as a state, viable state, is critically important, that—and that we support it and that participation in the Western economy has a long—the best long-term future for them, but also simply buying time is important in saying that we can withstand this type of destabilization of the sanctions, which do tend to accumulate their effects over time. We—we'll work because we can withstand time or we can—we can wait it out and because the Ukrainians themselves can wait it out, as well. So I think that idea of showing that there is an economic future for Ukraine is critically important here. HAASS: So that—but just to translate that into a clear U.S. objective, one way to say that the U.S. objective might be in the long run, however you define that, is to make Ukraine whole again, to bring Crimea back, but for the foreseeable future, the goal is to not lose any more of Ukraine. And that to me would be one definition. And by the—and as an aside, not to see any more Ukraines out there, to basically not see what was done there replicated in any other country in Russia's near abroad. SESTANOVICH: Richard, I think we've probably already succeeded in not having Ukraine break up, in the sense that Crimea was annexed by Russia. But we are probably still at risk of having something like the Georgian situation be recreated, in which parts of Ukraine—and these are really significant parts of Ukraine—are sort of no-go territory for the central government. They exist politically and economically within the Russian orbit and with the much greater likelihood that Ukraine is a kind of—just kind of failed state. I think we have—that's, I would say, the most plausible bad outcome over the next 6 to 12 months, but I think there's a plausible good outcome, since you ask about a range of possibilities, and that is to have something like a reintegration of those territories into Ukrainian state on terms that have some—that reflect the desires of—that have been expressed over time by the eastern provinces for more autonomy, that involve a continuing good relationship between Russia and Ukraine, and—but that is—that does not involve a kind of de facto partition. (UNKNOWN): Just didn't persuade the Russians. HAASS: It didn't translate well. DONFRIED: But it comes back to your question, Richard, of does Russia—does Russia at all costs want to prevent a failed Ukraine? And I worry more that Russia at all costs wants to prevent a Ukraine that's successful in integrating into the E.U. HAASS: OK, that's a big point, so let's raise that, because that kind of gets a little bit of the options, but taking exactly your last point, Karen, so there's some people that say that Russia's goal. They don't want to have a Ukraine that's firmly integrated, certainly in NATO, even in the E.U. So one of the questions then is privately, if not publicly, should the United States work with the new government of Ukraine to essentially come up with—to encourage them, rather, to come forward with the set of assurances, and the assurances could deal with both Ukraine's foreign policy, its relationship with NATO or non-relationship with NATO, its relationship with the E.U., as well as domestically certain assurances about everything from their—a federal political structure, large degrees of regional autonomy, to commitments to the rights of minorities. That at least goes some ways towards the ostensible Russian checklist. Is that the sort of thing we in the United States should be encouraging at least in private, if not necessarily in public? Is that a legitimate course? DONFRIED: I mean, my view is if the model that we are defending in Ukraine is a model of democratic society, free market economy, rule of law, then we should be supporting the democratic aspirations of 46 million Ukrainians to make decisions about their own future, and I think those are decisions for Ukrainians to make. HAASS: But even—I'm going to press you one more time. Even if it's up to them to make the decisions, there's no—every ally or friend or country in the United—the world, we always say it's up to them, they have the sovereign right to make decisions. We have the sovereign right to weigh in and to say what sort of decisions we hope they make. And so is there anything wrong with the United States encouraging Ukraine to say or do certain things that would be, quote, unquote, "reassuring" to Russia? Or is that a fool's errand? SESTANOVICH: I think it's kind of dangerous in this respect. We've seen what happened when kind of outside powers push Ukrainians toward one outcome or another that seems to involve an exclusive choice. I mean, that's what the past six months of revolution were triggered by, that a decision by Yanukovych that he's going to go east instead of west. Shouldn't forget that you have just as much potential for national unrest if the—you know, if it's going west instead of east. And I think for—it's a goal for the United States to have a kind of consent—a consensus that emerges over time, but it may be a long time. HAASS: The word impose is a big word. There's one thing between saying we'll only provide you a new tranche of economic aid if you do X or Y, and it's another thing to simply have a diplomat go in, an ambassador go in or others say, here's why we think you ought to do X or not do Y. I'm just trying to understand the range of choice here. SESTANOVICH: I think the—it is certainly true that we can indicate where we think the smart policy course is for them, but I think they're on a pretty smart policy course, which is they do not want to get anywhere close to talking about NATO for the foreseeable future, because they know it'll tear the country apart. But I think that works in both directions, that is saying that it's a closed-off option and they will never be in NATO is going to be as divisive internally as saying that they are—that they are going to go there. I think the United States has handled Ukraine's relationship to NATO badly for a long time. And by pushing—pushing it to—and acting as though we were trying to draw them into NATO, we stimulated more conflict in Ukraine than did us any good. On the other hand, I think right now what we are—what best serves our interests is for this kind of national consensus, which is we're staying away from those decisions for the foreseeable future. That's the right course. HAASS: Rob, should we be giving Ukraine more economic help? And if so, should it be conditional or unconditional—should the conditions be based on their foreign policy, their domestic politics, or their economic policy? KAHN: I'd like—I've seen a connection between, you know, non-conditional economic assistance and some of these issues we're talking about now, if we want to project this as a successful model, if there was more bilateral support coming, primarily from the Europeans, but I think the U.S. could do more, as well. 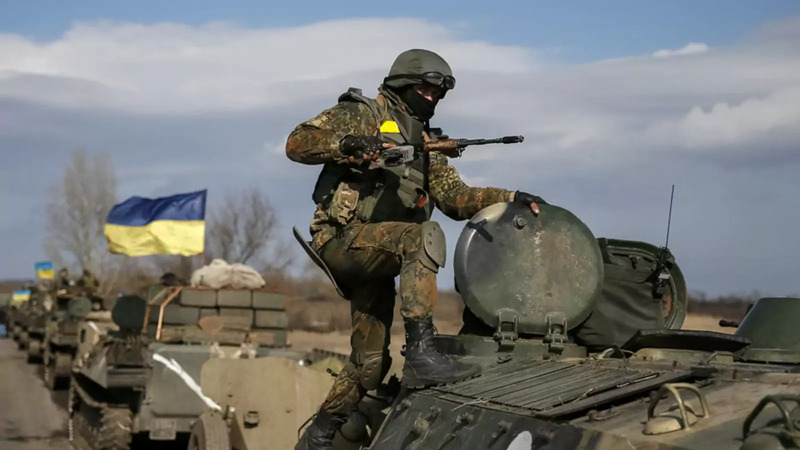 It would—it would take some of the pressure off the Ukrainians to go towards a rapid association agreement or maybe towards NATO as ways of demonstrating success. I think that, by and large, the additional aid should be unconditional on economic reforms. I do think that what we're asking of the Ukrainians is in some ways both too much and too little. It is too little in the sense that we know there are a tremendous amount of things that have to be done in terms of anti-corruption and improved governance, as well as fiscal and dealing with these unsustainable energy subsidies. But I also think this is a bad time to be asking for too much austerity of the Ukrainian government, both in terms of what they can deliver and what we should ask them to deliver. And so if we had more support—at least unconditional on the economic piece of it, I think we'd have a better chance of success. HAASS: And how does one balance Ukraine's relationship with the E.U. as well as Ukraine's relationship economically with Russia? KAHN: You know, I think certainly on the economic—an economic success story for Ukraine has strong trade relationships with Russia, particularly in terms of eastern Ukraine. Karen mentioned the infrastructure. I think that's certainly part of the success story. A deal on understanding on gas is certainly part of it, and while there's been some good, you know, vibe coming out recently in terms of the discussions about the gas deal, and there certainly does seem to be at least walking towards a price, an agreement on a price that both Russia could accept and—with IMF support, Ukraine can pay. SESTANOVICH: Can I just add one thing, just to dramatize what the relationship is between the E.U. and Russia and dealing with Ukraine's economic issues? HAASS: Speak up a bit. SESTANOVICH: These gas talks are chaired by the E.U. energy commissioner. He is sitting down with the Ukrainians and the Russians and working out a price. That's not something you would have had, I think, even a couple of months ago. DONFRIED: And interestingly, the E.U. energy commissioner is a German national. SESTANOVICH: And he has been very tough on some things that the Russians don't like, like South Stream. He said basically that breaks our rules, we're not going to do it. He's taken on a big prestige project for Putin and said, I'm against it, but he's also—to get a little more specific in what the relationship is—the E.U. is going to pay the Russian gas bill. KAHN: ... the gas bill. Partly that's politics. Some European governments that were giving bilateral money didn't want to be seen as paying Russian arrears, so they'll come in behind it. But still, the IMF is in a tough position. They were putting together a program without a deal, so they assumed a price, but they essentially signaled that within a range of that assumed price, the program would adjust. It meant that Ukraine doesn't get to keep the money if they strike a better deal, but they still in some sense are not going to want to pay out all the arrears because they see that as a critical point of leverage. And so you have this kind of interesting dynamic where they're negotiating with other people's money, but in a way in which, you know, they are making some payments on the arrears. It looks like more is about to come. And I think that is ultimately consistent with the economic program the IMF has laid out. HAASS: OK, two last sets of questions, then I want to open it up to the members. One deals with what we—how we approach Europe right now. And two questions. Is there anything we should be doing vis-a-vis NATO that we're not doing? And, secondly, is there anything we should be doing to reduce European energy dependency on Russia that we are not doing? DONFRIED: I'm happy to take a stab at those. On the NATO piece, where you saw President Obama putting emphasis last week was on the reassurance mission, making clear to NATO members, particularly along the eastern border, the Baltic states, Poland, Romania, that they are covered by an Article 5 guarantee and this is real and the announcement was that he was going to ask Congress to put $1 billion toward prepositioning equipment and making sure that there were rotations of forces through those countries. And clearly, he's also trying to galvanize other members of NATO to take similar action, so the U.S. is showing leadership, if the idea is that the rest of the alliance is participating in this. And it has to date. If you look at the bolstering of the Baltic air policing mission, and other things the alliance are doing, there are many other NATO members taking part in that reassurance mission. The energy piece is enormous and critically important. It's important for Ukraine for so many reasons. They're so inefficient in their own use of energy. If they could even do better on that front alone, it would be incredibly helpful. But if this crisis actually leads to the European Union diversifying supply and taking action on energy which it has done at a very slow pace to date, even with the earlier 2009 crisis, it would be hugely significant for the relationship with Russia. We saw this Russia-Chinese deal, but it's not that easy for Russia to flip and start selling gas and oil to China. You need the infrastructure. This is a long-term gain. So if the Europeans are serious about that, it could have significant consequences for Russia. HAASS: What about some things that would also we could do? We could open up American oil exports right away. We could facilitate licensing at energy. We could announce, just like we did regulatory policy on coal plants the other day, we could announce regulatory policy on large trucks to reduce American oil consumption. There's those who say the best sanction we can introduce against Russia would be to lower world oil prices. HAASS: Chairman Mao once said, even the longest journey begins with a single step. HAASS: He's not often quoted at the Council on Foreign Relations, but I thought I'd introduce that. SESTANOVICH: Well, Kerry mentioned—Kerry stated this as a goal, one of the top goals of American policy in his speech last month. He said, we are aiming to reduce European energy dependence on Russia, so that it—it went a little bit beyond what you said, Karen, which was it would be great if Europe did it. He made it an American goal. And so I think the issue is exactly what you say, Richard. What is it the United States is going to do to make that—bring that goal within reach? If it isn't that set of measures that you described, I don't know what it is. And I think we're-- we will then be looking at a trend, in—a dynamic over which we just don't have any control. HAASS: Let me just quickly reintroduce two other issues and then we'll open up. One is, given what you said before, Karen, is there any chance—if the situation in Ukraine kind of looks like it looks today in six months, is there any chance there would be European support for anything more in the sanctions department? Does time, if you will—does the passage of time without progress trigger more European support for sanctions? Or does it take the passage of time plus a major deterioration on the ground? But essentially if Ukraine kind of looks like it looks today in six months, will we get stonewalled by the Europeans on sanctions? DONFRIED: Well, it's interesting, because when President Obama was asked about this last week, he was talking in terms of weeks. SESTANOVICH: One month, he said. HAASS: That's about four weeks. DONFRIED: Right. So I'm curious to see what happens—at the end of this month, there will be another European Council meeting, and there could also be a Ukraine that's signed part of an association agreement, the free trade piece of that association agreement. How will Russia respond to that? Because he's right that Russia has stepped back. And, yes, Putin actually had a conversation with Poroshenko at Normandy, but he hasn't actually said I respect the outcome of this election. And he's actually even threatened a bit that if Ukraine were to move forward and sign this free trade agreement as part of the association agreement, he might take action. So I'm not sure that we're in a static period. I think there's still a lot of things that are going to play out. If we are static enough in changes, I think President Obama made clear that he will push, if those three conditions are not met, for further sanctions to be put in place. HAASS: All right, call me skeptical, but I would think if the situation does not appreciably worsen, he can push for those things, but he will get push-back from the Europeans when it comes to any dialing up of sanctions. KAHN: The one counter to that is, in the financial space at least, there's a capacity for the U.S. to go ahead of the Europeans. HAASS: (inaudible) actually brings me to my last question, which is just that—it's a version of that, which is, imagine the situation doesn't get much worse. It kind of looks like it does today, plus or minus. To what extent ought Ukraine in some way shape or determine the U.S.-Russian relationship? Because in six months, I can imagine there's all sorts of talks going on about what to do about Iran, all sorts of issues about how to deal with the newly elected, but pressured government of Afghanistan. You never know about Asian security issues or North Korea. You've got obviously the terrible situation in Syria. So if the situation with Ukraine is about where it is now, to what extent does the United States want to hold the totality of its relationship with Russia essentially hostage to our disagreement over Ukraine? Or ought we—if you will—strategically to think about compartmentalizing it. OK, we disagree there, but so long as it doesn't get worse, we don't like it, we can—but we can live with it, and in the meantime, we have to work out some other things. What is—is there an argument, if you will, for non-linkage? Or should our policy be one of linkage? SESTANOVICH: I think six months—I think the administration's reading is, if you go six months, you're going to get exactly that loss of momentum that you describe, and there will be—and the takeaway from it will be the United States and Europe huffed and puffed and really weren't able to exercise any sort of leverage to prevent the kind of challenge that Karen described, which is, you know, post-Cold War order and approaching it in a different way or defied by Putin. HAASS: But what do you think? Whether they're focusing on it or not, do you think—what do you think they're doing? SESTANOVICH: Well, I think that's right. If there is a—the situation is a little too fluid to actually just end up with that steady-state result that you describe. You're going to—you're more likely to end up with Ukraine being broken up and in the way that I described it, at least, that is, a kind of de facto detachment. And I think that's a bad—it's a bad result that the administration can oppose without having to sacrifice all the things that you describe. I think Putin is probably prepared to do a certain amount of compartmentalization himself, that is, continue to cooperate on a lot of those issues that you describe while having a face-off on Ukraine. We will see. HAASS: OK, let's open up. We've got about a half-hour left, so people would just let us know. Raise your hand, wait for the microphone, and let us know who you are and ask a question. There's a gentleman in the back, third row from the back. I apologize if I don't know everybody's name. QUESTION: Hi, Daniel Freifeld. In a breach of protocol, I think Putin's very much betting on compartmentalization. That's his plan. So if we stipulate that he did not achieve all the objectives, Russia did not all the objectives it had in Ukraine, at least in the east—it certainly did in Crimea—if you had to say one or the other, was it the lack of receptivity on the ground to what Russia attempted to foment? Or was it the Western response? And this goes to sort of Russian decision-making, but also sort of practically speaking for us where the levers are. Was it really something we did? Was it the capital flows? Was it the threat of sectoral sanctions? Was it the unity of the response? Or was it just simply that he was misled by a Potemkin adviser who said, look, you start this, spark this thing—I think it was Karen's words—and everything will fall your way. And he sort of, you know, fired somebody after realizing or recognizing that it wasn't, indeed, the reality. So if you had to say one or the other, which would it be? Thank you. SESTANOVICH: If you had had the threat of sanctions, but everything going great on the ground and it looked as though they could have a kind of clean outcome of the sort that they had in Crimea, they probably would have gone ahead with it and figured that the U.S. would swallow that the way the—and the Europeans would swallow it the way they did Crimea. But the two things went together. It was clear that pushing for a kind of absorption of the eastern provinces were going to be a bloody mess. And that meant it was—you know, that that together with the prospect of sanctions slowed the Russians down, obliged them to rethink. HAASS: Avis Bolton (ph)? You have to wait for a microphone. QUESTION: (OFF-MIKE) formerly State Department. This has been a fascinating discussion, but there's been really not a lot said about the fact that Ukraine is a very deeply divided country. And you asked about policy objectives for the U.S., Richard. Shouldn't one of them to try to do what we can to help heal that division? I mean, it's not a heck of a lot we can do. It goes back deep in history. But it's never going to be—the problem with Russia is never going to be resolved unless you resolve that. HAASS: Well, it's one of the reasons I suggested the statement of reassurance about minorities and greater federalism, whether that might go some ways towards healing or at least managing some of the internal tensions. DONFRIED: And certainly the Obama administration has been very supportive of the steps that Prime Minister Yatsenyuk and now the new president have articulated, in the case of the past government, have taken in terms of reaching out to the east. In all the ways that Steve outlined, and I do think that's critical. I also think it's important for us to think about why this isn't the Cold War II. Ukraine has changed a lot in the past two decades, as has Russia. And Ukraine remains a deeply divided country, but I do think the younger generation, even in the east—and I think this is in part why you didn't say that spark turn to something larger—doesn't want to make a choice that their future is tied to Russia. They want to be able to look both ways. So I actually think Ukraine is different than it was at the end of the Cold War, and that's something we need to appreciate in how we plan our policy going forward. HAASS: Sir, in the one, two, three, fourth row. Sorry, Jeffrey. You're in the third row. QUESTION: David Apgar (ph), Inter-American Investment Corporation. This is a question for Robert. It goes back to Richard's question about what our goals should be, and I don't think that it contradicts Avis' (ph) question as much as it may sound. Is a fissiparous Ukraine really so bad? It—if there's a real chance of losing hearts and minds in the long term, and in Donetsk and Luhansk, there's an incentive to do something about corruption in the economy, and we're looking at a country that lost all of its momentum from a spectacular grassroots revolution and became sort of a recidivist, oligarchic, corrupt place again. QUESTION: I'm asking whether the—I'm asking whether the risk—leaving the risk in place that if (OFF-MIKE) reconciliation (OFF-MIKE) actually creates a strong incentive for Ukraine to move faster. KAHN: Faster in terms of things like governance and rule of law and anti-corruption. I think it's a pretty—it's a good argument. The point I was trying to make, though, is that those type of changes create a lot of drag in the short run. Even if in the long run it creates much more prosperous Ukraine, it's a lot of disruption, right? A firm that is profitable because of corruption now isn't. It goes out of business. People get laid off. And so if you're going to do that, you have to make sure you're accompanying it with a strong fiscal effort, both in terms of a safety net, but then also just basically getting the services out so that the government looks like it's functional and working in your interest. KAHN: Yeah, I mean, it's very much—I think you could—you could offset it and undermine it, because I think there is—it can backfire on you if you don't do something along those lines. SESTANOVICH: I don't think we know exactly how Ukrainians themselves are going to think this one through. And we're just going to have to see how they do it. I had an interesting conversation with a pretty senior person in Kiev when I was there last month, and at the end of it, where he was talking about how hard it was just to think about getting an election held there, I said, you know, would this country just work better if they did join Russia? I mean, would you be—would you be happier with that? And he said, you know, maybe. That is a big, big step for them, because they don't know how far it can go, and then the whole country may really fragment. But I think there are some people who are—and I think Tim Judah has sort of suggested this in some of his pieces in the New York Review of Books—some people are thinking, you know, maybe we don't want to destroy the promise of a democratic breakthrough that we now have through a civil war. And I think it's just hard to predict exactly where people are going to come out and how they're going to think about those choices. They're going to—they're going to develop over time. KAHN: Steve, I just want to ask you a question on it, because the interim government on the economic side came out at the start and said we're going to be a kamikaze government. It was very much this kind of argument, saying we have a window now where we have to maintain credibility by going full bore on a lot of these issues, right, towards the West, attacking corruption and the like. And the IMF sort of bought into that, right, in terms of how they set the conditionality, right? Do you think that that—is that not a credible argument? Or was that what the—was that the transitional government's argument, but not something that was more broadly felt? SESTANOVICH: I think there is a real desire to have a big breakthrough, and a lot of the people who went through the Maidan experience are counting on Poroshenko to deliver on those promises. But they're also counting on him to deliver on national unity in a way that he may find actually undermines the other goal. And if they have to choose, I don't know how they're going to choose. QUESTION: Hi, Hope Harrison from George Washington University and the Wilson Center. My question is for Karen. Germany has obviously been a really important part of what's been going on with Russia and Ukraine. And I'd be grateful for your analysis of the situation in Germany. There are some divisions within the country over how to handle this, but, of course, there's also much unity on not pushing Russia too far and not risking business connections and all of that. So would you speak to that, please? DONFRIED: I think the Germany piece of this debate is fascinating, because Germany has long been seen as the undisputed economic leader in Europe. You certainly saw that in the eurozone crisis. But traditionally, on foreign and security policy, it's been the U.K. and France that lead the charge. But on Ukraine, it has been Germany. And if you look at the successive rounds of sanctions that the E.U. has agreed to, which might have surprised people, I think the role Chancellor Merkel played was critical in getting unity within the European Union, particularly given the domestic debate that's underway in Germany as you point out. And it's fascinating, because there's also long been a minority in Germany that's been referred to Russland-Versteher, people who understand Russia. And now they're really referred to as Putin-Versteher, because it's really support for President Putin and the policy that he's pursuing. So the debate in Germany is very much alive on whether we should be standing up to what Putin is doing. I mean, you know, you hear these lines about Crimea. I mean, let's be honest. It was always part of Russia and blah, blah, blah, which is in some ways quite shocking. But she is having to operate in that domestic political climate. And I think the implications of this for the role Germany plays in that foreign and security policy space are quite significant going forward. It seems that she is very strong on this, and it also seems that she's quite—she's had it with President Putin. He's lied to her one too many times and hasn't delivered on things he said he was going to do. So her course seems very clear, but she is aware of needing to bring her public with her and bringing 27 other E.U. member states along. So that policy will certainly be tempered. QUESTION: Jeff Lawrenty (ph). Have we seen the worst or have we seen the end of the feckless performance of the Ukrainian military and security forces, which as you pointed out, Steve, have been giving up border posts by the day, in any confrontation, they melt away, if not, as some charge, defect? Has Ukraine's military been either infiltrated or otherwise more deferential to Russian leadership and any of others in the—countries out that emerges from the breakup of the Soviet bloc? Or does this represent the kind of broader division in Ukrainian society that Avis (ph) had referred to and Poroshenko was just blowing smoke when he talks about asserting authority when he doesn't really have an army that will listen to him, question mark? SESTANOVICH: OK, don't overstate. They have had some operations that have been costly for them that they have sustained, and they've done a lot of damage to the separatists, you know, killing dozens of them who were then sent home to Russia. So they have—it has not been, you know, outright failure without exceptions. And I don't know how to explain the differences unit by unit. This is a military that has not had a good budget, has not had a lot of resources, whose interactions with NATO, for example, have been mostly, you know, about things like peacekeeping rather than actual territorial defense and military operations. They have—they are in desperate need of rejuvenation. I don't think one should exaggerate how terrible they have been, although you could—you give other examples that are, you know, pretty terrible. They had a unit yesterday that had to surrender outright because they had no more ammunition. But one of the things that is going to be on the agenda—and we haven't talked about this yet—is what kind of support are we going to give them in trying to revitalize this institution? HAASS: What kind of support do you think we ought to give them? SESTANOVICH: Well, we certainly have to pay a lot of attention to training. We have to give some attention to equipment. The president opened up that the other day by saying we're going to go to night-vision goggles and, you know—so we're beyond MREs. But is it still going to be non-lethal? So far, yeah. SESTANOVICH: I think they probably have to go to lethal. That can be very light to start with, probably will. And it isn't going to be advertised heavily, but they need, given the kinds of units that they may be facing in eastern Ukraine, they probably need some light armor, anti-armor. HAASS: Is there a way to distinguish between lethal stuff we would provide them that would be relevant to the kind of internal security challenge they face, as opposed to something that would be, quote, unquote, "anti-Russian"? So you don't need large numbers of anti-tank or anti-aircraft weapons. What you really need are things for kind of a gendarmarie or to deal with a low-level civil war. Is that the sort of thing? HAASS: Pentagon's changed since my day. SESTANOVICH: Well, they don't want to—you know, they've got scarce resources. I talked to people over there last month that said, you know, what do you think about this, you know, new—new set of missions in Europe? He said, we got a lot of missions elsewhere. We're not really looking for this. But I think there—it is going to be very tough to avoid this issue. You've got a Ukrainian establishment that understands how pathetically incompetent and inadequate their military has been, and they are determined to do something about that. HAASS: That will be the debate. Ivan (ph)? QUESTION: Thank you. I'm Ivan Sullent (ph). This is a terrific discussion. I have three questions, really, I'd like you to answer. One is Richard's question, which I thought was a great question, to what extent do we compartmentalize this to go on? The second is that if we actually learned a lesson of the financial crisis, first, you stabilize the bleeding, then you bring in reform. Americans learned that. The Europeans didn't. You see huge differences. What—if you took this as a rule that we're only going to do things that will stabilize the current situation and we'll worry about tomorrow tomorrow, would we be doing things any differently from what we're doing now? And then the third question is, each of you has mentioned some terrible weakness in our current policies. You know, extending NATO guarantees to a whole lot of people isn't necessarily a good policy. It's very dangerous for us. Same thing with the economic returns. Are we—do you think that there's any opportunity to go back and say, look at our policies, not just to reform Ukraine, but to reform some of the mistakes we've made that have helped Ukraine get into the situation it's in today? It's very hard to change your policy when it looks like you're backing down, but if we do stabilize Ukraine, will we have the opportunity to fix some of these foolish mistakes? Thank you very much. (UNKNOWN): That was just three questions? HAASS: Let's take the first one. I mean, we talked about it quickly, which is compartmentalization. I think we talked about it a little bit. I mean, I actually think it's an interesting conversation to consider. I don't think we have the luxury, if you will, of complete linkage. I actually think that the United States does have to practice a degree of non-linkage, because we have competing stakes. And, now, in some cases, we may not have to try so hard, because the Russians may have a stake in non-linkage, because they have—they have some interest that—beyond Ukraine. But I wasn't that upset when Putin's—as you put it—skulked around in Europe at the meeting, because if there was some informal diplomatic exchanges, if we could recreate—just take one example. Imagine we could create a six-plus-two-like grouping for Afghanistan again or some modified version of it, say, to get the Indians in, where we could have something that actually increased the chances the new Afghan government would thrive, why not bring the Russians into that? SESTANOVICH: The question really is how much we have to pay for it, and do we have to—how much of our Ukraine policy do we sacrifice for it? And I would say, you know, there's compartmentalization on our terms and there's compartmentalization on their terms. And we have an interest in compartmentalizing in the sense that we tried to retain the integrity of our Ukraine policy without sacrificing a lot of other things. And I think that's a goal which we should try to pursue, and I don't think right now it's so clear that we can't get there. I haven't seen any price that we've had to pay in other areas of Russian-American dialogue because we've been tough on Ukraine. HAASS: Rob, you seemed to suggest kind of similar to Ivan's point, which is that the—if pushed to the wall, we should provide the money unconditionally. You got to keep the patient alive before you can make the patient better, if you will. Is that sort of your point? KAHN: Yeah, I agree with that. I think where we are now in the midst of a crisis, you do have to keep the patient alive, and I would make that money unconditional. Now, when we get out of the crisis, Ukraine has tremendous work. They've not owned these programs in the past. And I'd want to see—particularly on the energy subsidy issue, where there is this inefficiency, where there's extraordinary waste and corruption—I'd like to see all our leverage and—brought to bear to try and get them to do something that would be sustainable in the longer term. HAASS: Ivan, I may skip your third question, because it'll open up too many cans of worms. There's a gentleman in the back row who's been very patient and I apologize. HAASS: Oh, I can answer that quickly. No and no. HAASS: I am a man of two words. Sir? HAASS: You have to introduce yourself. QUESTION: Chuck Blanchard at Arnold & Porter. What is the—how's the reassurance mission working in countries like Romania and Poland and the Baltics? And what more needs to be done to have that reassurance be real? DONFRIED: Sure, happy to take that. And I can't resist just doing a quick response to the other NATO question, which is sort of lessons learned. And I think that debate is already alive and well and you have, you know, the one side saying, you know, if in 2008 we had given membership action plans to Georgia and Ukraine, this never would have happened. And you have the other half saying this is exactly why it's so good we didn't give them that, because think of the mess we'd be in now. DONFRIED: And on the reassurance mission, you know, certainly the Balts and the Poles and the Romanians were very happy that the U.S. so quickly said, we need to step out and reassure our allies. And you saw the immediate bolstering of the Baltic air policing mission. You saw the buttressing of the aviation detachment in Poland, I mean, the whole set of measures that you're familiar with. And then the fact that the president visited Poland on this trip, which originally had not been part of the itinerary. And I think his going to Poland was important not only in a security sense, but let's remember that what Poland was commemorating was the 25th anniversary of free and free elections. And it reminds all of us that 25 years ago, Ukraine was actually a bit ahead of Poland in terms of its economic performance and the different trajectories that these two countries have been on have left Poland in a vastly better place today than Ukraine is. So I think it was also a reassurance mission, not only in the security sense, but in a political sense, of a democratic choice, and where that has led this country. So I think there's still certainly more we can do in a NATO context, and that is on the agenda for the NATO summit, which will take place in South Wales in early September. And I think then you'll see longer-term decisions made about how the alliance will continue to reinforce its presence in that border set of countries. HAASS: You know, what Karen said about the argument that's once again happening about the wisdom in the past of NATO enlargement or not doing it, it just proves that even hindsight is not 20/20. For those of you who are—sure. HAASS: Public attitudes to what, Toby (ph)? QUESTION: Towards confrontation with Russia. HAASS: Public attitudes in Ukraine or public attitudes here? QUESTION: No, Western Europe and the United States and towards providing financial support. And, of course, we know the right wing in Europe is very happy with what Putin's doing, unfortunately. And Putin could offer political reconciliation and one Ukraine, and let the U.S. and the West, in effect, pay for the—for the economic situation. He has said as recently as today, Putin, that he will cut off all trade with Ukraine, and he said this at Valdai. He said it many times. And I do in this case take him at his word. So my question is, will our publics, Western Europe and the U.S., take financial responsibility for Ukraine? And will we be in a situation in five years—and I know that's a long time—where we'll get a kind of revision of history like we have in Russia, which is the West's fault that Ukraine didn't develop, just like in Russia, they say it's—you know, the West's fault you didn't give enough, you didn't do enough, you know, that kind of—and I just wonder, looking ahead, whether or not we couldn't have Russian compartmentalizing with the political situation, one Ukraine, but let—you know, let the West pay the bill. KAHN: Well, a couple of thoughts on that. I mean, obviously, from the—to the first point, public support, the answer for the U.S. is clear, right? There's very limited support for significant international assistance for these type of purposes. We just went through an exercise where we were trying to get an IMF reform package through that would have cost virtually nothing. The U.S. government weren't able to do that, and I think that was a tragic lost opportunity to increase U.S. influence abroad. But my sense of those surveys in Europe, as well, shows that, you know, there's a certain amount of bailout fatigue, right, post-German unification, post the crisis, right, which makes this a tough sell—makes my argument for unconditional aid a pretty tough sell. And I certainly understand that. You know, I would have argued—and by comparison to Poland—that Ukraine's had the opportunity to have made tremendous progress over the last 15, 20, 25 years, and it has squandered pretty much every opportunity in a number of IMF supported packages, as well. And there are sort of limits for it. And, in fact, there—it is sort of a footnote of this that in December of last year, the IMF met and with strong support from the U.S. came out with a judgment that essentially said we shouldn't be lending money to Ukraine in these current conditions between there isn't the ownership of the reforms, and there isn't the commitment to a market economy that would allow these things to succeed. (UNKNOWN): I'd add only one thing, which is it is striking in Ukraine how much people think they have been through a truly cathartic experience. It's a revolution. You know, I didn't think it was right to call the Orange Revolution a revolution. It was just a, you know—it was a fixed election that was challenged in the streets and then it was unfixed. But this is—this is really different. This is something much more fundamental in Ukraine about the relationship between people and the state. I think it's as much about, you know, the impunity of the powerful as about the European choice, for example. You know, what really kept it going constantly was brutality against the protestors, and people got really radicalized by that. Some of the ugly expressions of the Maidan came out of that radicalization, but some of the more hopeful dimensions of it, too. There—I just heard so many people saying, if they let us down again, there will be another Maidan. There is a—it's a—it has been a revolution. It's still a kind of revolutionary situation with extreme and probably unrealistic hopes pinned on a new government, but with a kind of awareness and self-confidence about the ability to actually reverse political outcomes through popular mobilization that is kind of impressive. You don't see it in a lot of places. You've had a lot—you know, you've had the Greeks burning tires for years now. And it just doesn't seem like any big deal, because it didn't accomplish anything. But the—what happens in Ukraine is something quite extraordinary. It was sustained for months and months. And there is a kind of heroic narrative that they tell themselves about it. So I would say there's no guarantee of success, but it is a new country. HAASS: So I'm going to ask everybody up here for one last statement, very quickly. So if you could make one change to existing U.S. policy going forward, what would be your addition, subtraction, anything dealing with Ukraine, Russia, the rest of Europe right now? What would you do? DONFRIED: One change to U.S. policy. HAASS: Or do you just want to stay the course? Do you think we're on the right course? That's an option, too. DONFRIED: I would just say that my world, the world of transatlantic relations, I think it has been critical, if we think our policy has been successful in any way, I think the fact that we have remained closely coordinated with our European allies has been key. There's no doubt in my mind that one of Putin's aims has been to divide us, break us apart, and therefore succeed in achieving his goal of trying to control the government in Kiev. So I do think that our ability to stay united across the Atlantic going forward is critical to success. HAASS: What would you do differently? KAHN: Absolutely. The bottom line—we need to be prepared to do it—to move significantly ahead of our allies and we can do that in the financial space now because of the dominant U.S. role in global financial markets. HAASS: This is beginning to feel a little bit more like government, because we already had the first two people disagree with each other. Steven? SESTANOVICH: Well, I would say staying focused on this is already going to be an achievement, if it can happen, because we tend not to do that. To amend or maybe to agree, I'm not completely sure with Rob, I would say we need some—to develop some alternative in order to keep credibility with the Russians to just, you know, the across-the-board sectoral sanctions which they don't believe and which we can't deliver. And we've got to be able to focus on particular increases in pressure on the Russians if their policy doesn't change that will—that are deliverable and doable and that they can see are deliverable and doable, and that's not going to be easy. I would give you as one example, though, of a—of a possible, you know, impressive score, is what I said about South Stream. That's a small achievable—not so small—a real victory of American and European policy, and that may be a more promising course than just saying, you know, if you don't do what we want, we are going to go nuts. DONFRIED: I think the key is asymmetrical sanctions. We do have instruments in our artillery that will have an effect on Russia that's far greater than the effect on us or the Europeans. And I think those are the sanctions that we want to be going after. HAASS: Just to shed all pretense that I am an unbiased presider, I would—I would think we ought to have a really big transatlantic energy project coming out of this. I do think we ought to think hard about what sort of things we would encourage the Ukrainian government to say that would reassure—it might reassure Russia. Also, it might actually set the stage for a better chance of getting Europeans to come along with us on tougher sanctions, if the Ukrainian government seemed to—not seemed, issued some reassurance about how it would treat its own and how it would relate in its foreign policy, and that still weren't enough for Russia. I actually think it then makes it easier to go where you want to go. And I think the real challenge for us moving forward is going to be not to lose focus on Ukraine and be tough there, yet still preserve the possibility for U.S.-Russian cooperation elsewhere. And getting that right is going to be no easy feat. And your collective reward, besides what you've just heard, is calories on the outside. So thanks very much.